Ramadan school timings for Dubai private schools will be announced soon. While some private schools have already issued notices to their parent community about their revised timing during the Holy Month of Ramadan, the education regulatory board says the official announcement is yet to come. 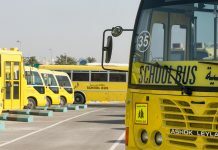 “KHDA is in consultation with schools and parents in order to understand and accommodate the needs of fasting students,” Amal Belhasa, Chief of Compliance & Resolution Commission at KHDA, told Emirates24|7 in an e-mailed statement.